Canada’s Interagency Advisory Panel on Research Ethics has begun putting online its interpretations of the second iteration of the Tri-Council Policy Statement: Ethical Conduct for Research Involving Humans (a.k.a. “TCPS2”). The website also explains the role of the Panel in interpreting the TCPS2, as well as featuring a nifty feedback function attached to each interpretive note. From Nature: Research ethics: Zero tolerance — A university cracks down on misconduct in China. Most readers of this blog will know that research misconduct doesn’t fall under the heading of Research Ethics, as that term is normally applied to the work of Research Ethics Boards and Institutional Review Boards. But neither are the issues entirely separate. Cao and other experts on misconduct point to specific contributing factors. China’s research system has developed very rapidly, and universities are scrambling to train the influx of students, scientists and administrators. “As a large, newly developed system of research, China does not have the control of its research programmes that is found in the West,” says Nicholas Steneck, who studies research integrity at the University of Michigan in Ann Arbor. Some researchers are simply oblivious to the rules, says Zhong Haining, a neuroscientist who trained at Tsinghua University and is now starting a lab at Oregon Health and Science University in Portland. “The official guideline for scientific misconduct may (or may not) exist, but it’s not very well publicized, at least not emphasized so much in training,” he says. I wonder if the causes of misconduct are so different in other places? A recent story in Nature highlights a few important concepts in the conduct of placebo-controlled trials. This story is about a very small placebo-controlled trial involving only 15 children who were stung by bark scorpions in Arizona. The trial’s goal was to demonstrate effectiveness of a new antivenom, Anascorp. 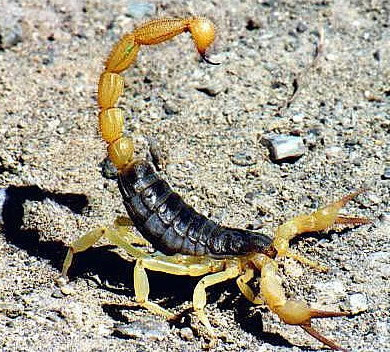 The bark scorpion is the only scorpion in the southwestern US thought to be potentially life-threatening for humans and, according to what I’ve read, is a very frequent and very unwelcome visitor in many Arizona homes. This story is interesting because it demonstrates some of the difficulties with conducting placebo-controlled trials, and challenges with getting clear clinical research data about yet-to-be-approved treatments in the face of a life-threatening injury. It is also pretty unheard of for a trial involving such a small number of participants to be considered as clearly definitive as this one was. First, it was difficult to think of using a placebo in the face of a potentially life-threatening scorpion sting. It would be unethical to agree to withhold any kind of treatment and to instead give a placebo to a child with the symptoms of a scorpion bite (which are described in the article as including “severe pain, extreme nausea, blurred vision and breathing problems”.) Children who experience such a reaction have difficulty, over time, coping with the pain and nausea, and extreme demands on the cardiopulmonary system can lead to more serious situations, including death. Faced with a child who has been stung by a scorpion, most parents would not wish to take the time to (a) go through an informed consent process in the face of such a potential emergency, and (b) go through a consent process when the end result might well be a placebo. As a parent, you’d want the antivenom and you’d want it fast, understandably. The researchers fully understood this dilemma and the difficulty with using a placebo in this case. Second, there is another older antivenom that had been used between about 1965 and 2000. Produced at Arizona State University’s Antivenom Production Laboratory in Phoenix, this antivenom, while effective, was not highly purified, leading to anaphylactic reactions in many patients. Furthermore, the laboratory that produces it stopped making it. Some doctors and emergency rooms have stockpiles of the older antivenom drug and were, again understandably, very reluctant to withhold the old antivenom (which, while imperfect, did the trick) in order to enroll patients into a placebo-controlled trial. So the researchers knew what they were up against, in terms of being able to conduct a placebo-controlled trial. And they also knew that, in many cases, a placebo-controlled trial is one of the necessary first steps in being able to make clear, quantitative claims about drugs in order to move forward to conduct larger trials investigating dosage, safety, side effects, etc. Once they got 2 hospitals to take part, they only needed 15 patients in order to demonstrate, quite definitively, that the new antivenom was, as the researchers say, “overwhelmingly effective.” The results were impressive: for all kids treated with Anascorp, symptoms resolved completely within 4 hours — compared to long, and more complicated recoveries for the kids who got a placebo. Once word got out about the effectiveness of this new antivenom, a new ethical dilemma emerged. No one wanted to administer the old antivenom; nor did they want to be enrolled in yet further placebo studies. So Anascorp was made available, on an “open trial” basis, to all centres who might treat patients with bark scorpion stings. In a 6 year period, they effectively conducted the largest antivenom “trial” in history, with more than 1500 patients treated with the new antivenom, with only mild side effects. They then put together an FDA proposal to approve the use of the drug in treating scorpion stings. Good news. As of August 4, 2011, the FDA has approved the use of Anascorp for use in scorpion stings. You can read about that here, if you’re interested (or live in Arizona! ): FDA approves Anascorp for Use in Scorpion Stings. An interesting story recently from CBC highlights some of the difficulties with the topic of conflict of interest in medicine and biomedical research. “In the course of the CBC investigation, Zalac also reported that three of Canada’s most prominent flu experts — Dr. Donald Low and Dr. Allison McGeer of Mount Sinai Hospital in Toronto, and Dr. Fred Aoki of the University of Manitoba — had received research funding or acted as a consultant or speaker for Roche during the period when Tamiflu was being promoted. Their research involvement with Roche and other anti-viral drug makers was not a secret within the industry. In biomedical research, typically ethics review boards ask researchers to “declare” potential conflicts of interest to them. That’s great. It’s certainly a start. But once potential for conflicts of interest have been “declared” to ethics review boards (in what is, essentially, a confidential review process), what happens then? Do research participants always know about potential conflicts of interest that researchers have? Is this made explicit in an understandable way to participants? This story demonstrates that conflicts of interest in health care and medicine (and biomedical research) are, often, handled in a fairly superficial or limited way with an emphasis on disclosure and little beyond that. In this story, the three key “flu experts” who were, in 2009, promoting Tamiflu as a key defense against the H1N1 flu were also found to have received research funds or acted as a speaker or consultant for Roche, the company that makes Tamiflu.The Public Health Canada Agency of Canada (PHAC) states that it was aware that these experts had affiliations with the drug company, but these relationships were not reported broadly to the public. The public were watching these experts and PHAC closely for advice and guidance. Should they have known more about the relationships between these experts and Roche, the company who makes Tamiflu? 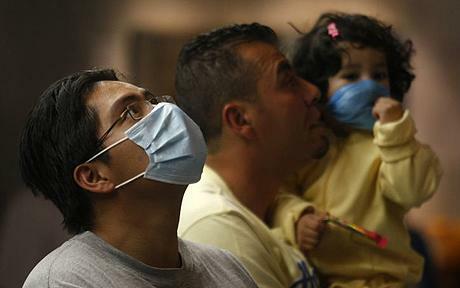 Tamiflu was seen, by much of the public, as the panacea for H1N1 and avian flu. Governments stockpiled the drug, hoping never to have to use their vast stores. Now that these stores are approaching expiry, a decision needs to be made about either replenishing them or exploring new alternatives. Over the last few years, while these stockpiles of Tamiflu have been sitting in storage, other independent researchers have been exploring whether or not Tamiflu really is all it’s cracked up to be as a first-line drug for H1N1 flu. As the story notes, researchers are challenging the “fact” that Tamiflu reduces morbidity and hospitalizations from the flu. Furthermore,the side effects (including bizarre behaviours and delusions) thought to have resulted from taking Tamiflu are viewed as serious enough to perhaps warrant exploring other options. When we look closely at this, it may well be that the relationships that these experts had with Roche do not constitute an obvious conflict. As science moves forward, recommendations and best practices change and this may well have been the case with Tamiflu. It may also be true that Tamiflu was the first line defense in 2009 and the research since then has shown that it may not be as good as we thought. These three experts may have truly felt that Tamiflu was, in fact, the best treatment for the flu at that time, while they were vigorously promoting it. However, without full disclosure of the relationships that they had with Roche and some clarity from the PHAC on how these potential conflicts would be managed, the public may well doubt their abilities to be objective about Tamiflu. It now appears that the PHAC may well be making changes to how they manage such potential conflicts of interest, in regards to their experts and advisors. “As for the Public Health Agency of Canada, it released a statement that said it would be inappropriate at this point to release the drug company connections of its advisers without their consent. Spina bifida is a serious developmental birth defect in which the spinal cord and backbone fail to develop completely and infants may be born with some of the spinal cord protruding out of their middle or lower back. Treatment typically involves surgery as soon as possible to repair the birth defect. There are different forms of the defect and depending on the presenting form and the treatment, children born with spina bifida may have varying levels of disability. Surgery on the spina bifida deformation can occur prenatally, i.e., while the fetus is still in the womb, or it can occur soon after birth. A recent story in The New York Times notes that there is now clinical evidence that surgery done while the fetus is still in the womb results in better outcomes and far less disability for children compared to children who have the defect repaired surgically after birth. The story highlights a seven-year study (that recently ended) in which mothers of fetuses who had been diagnosed with spina bifida were randomized into one of two treatment arms: to either have reparative surgery prenatally or to have surgery soon after birth to repair the spina bifida defect. The study was stopped after it was found that the outcomes in the prenatal surgery arm were simply better — children were less disabled, were more likely to walk and had less neurological complications. This is a fascinating study. The potential for the future is pretty amazing. But, as the story notes, the study raised some interesting ethical issues. First, the study was stopped by the local monitoring board as clinical equipoise was disturbed when the prenatal surgery was found to be so much better, in terms of outcomes, than surgery done after birth. Prenatal surgery was seen as a potential panacea, in the 1990s and early 2000s, for repair of the spina bifida defect (see the link to the 2003 story below) but while outcomes were generally good, the surgery did (and still does) involve significant risk to both mom and fetus — and there wasn’t enough good data on outcomes, the safety risks and health complications. Thus the obvious need for a clinical trial. Did the trial start out with clinical equipoise though? We’ve written about clinical equipoise here before, i.e. the genuine uncertainty about what the preferred treatment might be at the outset of a clinical trial. Physicians and parents, as the story demonstrates, clearly believed that the prenatal surgery option resulted in better outcomes and was worth the risk. 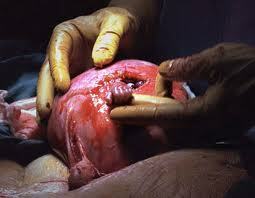 In fact, many pregnant women who enrolled in the trial did so just to have a chance at accessing prenatal surgery. The physicians who were involved in the study knew that pregnant women would not enroll in the study if the prenatal surgery was offered elsewhere (as it was up until the study), so they persuaded other hospitals not included in the study to stop offering the prenatal surgery. Thus, pregnant women were essentially forced to enroll in the trial for a chance to be randomized into the treatment arm that provided the prenatal surgery. However, as a result of randomization, many of these women who enrolled were randomized into the other treatment arm and received surgery after the birth of their infant. It’s interesting (from both a practical and an ethical perspective) that a procedure, albeit one with risks involved, that was offered before the start of the trial to pregnant women carrying fetuses with diagnosed spina bifida, was, for all intents and purposes, no longer offered except (possibly) through enrollment in a clinical trial. Physicians who, before the trial, could offer this treatment to their patients (with all the potential risks and benefits involved), were no longer free to do this if they were providing care in a hospital that was not part of the clinical trial. While some bioethicists quoted in the story feel that the move to limit access to the prenatal surgery was a bold, collaborative step, others state that it was ethically problematic to take away any notion of choice for pregnant women by severely limiting access to an option many already felt to be superior, that was desired by many even with the risks. While many clinical trial participants enroll with altruistic objectives, others enroll in order to access treatments and procedures that might only be available through a trial. This is seen, often, with drugs that are not yet freely available on the market until clinical testing is complete. In this case, clearly, pregnant women would be interested and motivated to enroll, out of genuine concern for the future of the child they are carrying. Altruism might well be part of the motivation — as the story notes, one gracious woman who was randomized into the after-birth surgery felt that while her son did not benefit from the surgery as much as he might have from prenatal surgery (he has some significant disabilities), participation in the trial contributed to knowledge about his disease. Needless to say, it’s a good thing that the trial was done and also a good thing that it has been stopped in order to make what has been shown to be a superior treatment available, once again, to all. If you’re interested in this really fascinating topic, here are two related stories. The first is a recent story from The New York Times on the possibilities related to the outcomes of this trial: Success of Spina Bifida Study Opens Fetal Surgery Door. A German anesthetist, Joachim Boldt, has published over 350 peer-reviewed papers and is currently the target of a German medical board investigation for data manipulation, fabrication of data and failure to have human studies reviewed and approved by an ethics review board. 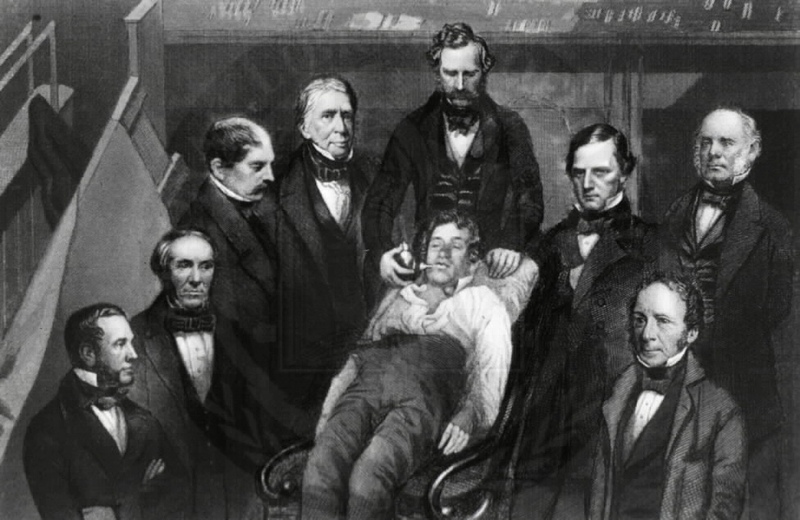 This story began when the journal Anesthesia and Analgesia retracted a 2009 article authored by Boldt citing concerns of data manipulation. Now, after further investigation by a German medical review board, up to 90 of Boldt’s published articles are being considered for formal retraction. LÄK-RLP [the German medical board conducting the investigation] has reviewed 74 scientific articles describing clinical trials subject to the requirements of the German Medicinal Act. This includes the article by Professor Boldt recently retracted by Anesthesia & Analgesia and an article submitted by Professor Boldt to Anaesthesia but not published. By law these studies required IRB approval. Although the articles typically stated that IRB approval had been obtained, LÄK-RLP could not find evidence of approval for 68 of these articles. The story on Retraction Watch notes that, in addition to these retractions, Boldt faces a fine of up to 100 000 Euros (approximately 140 000 Canadian dollars) and even jail time for conducting human research without ethics review board approval, a violation of German medical profession’s Code of Deontology (i.e., Code of Ethics). The story notes that there is evidence that Dr. Boldt failed to obtain ethics review board approval for studies, forged signatures on copyright forms, fabricated data, fabricated clinical cases, and lied about the participation of co-authors. In fact, the claims and information suggest that Boldt’s 2009 now-retracted study never even took place at all. As a result of these claims, further investigation into Boldt’s other published research is taking place. There are a plethora of ethical and practical problems with Boldt’s research, if even a few of the claims are found to be true. Certainly there are too many to discuss here. But what I did want to comment on is the burden placed on ethics review boards to “police” research, something most of us are loathe to do. 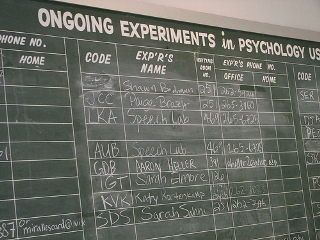 As the story notes, upon submission to a scientific journal, researchers often are required to simply check a box to indicate that an institutional ethics review process took place. No one asks for confirmation of this. In this case, no one questioned the volume of research Boldt was producing. No one questioned the fact that Boldt was noting the use of albumin in his published studies when it hasn’t been used since 1999 in that institution. It seems no one asked for evidence or confirmation of some very basic science — something one would expect as part of a peer review process. The role of peer review, or scientific review is, to some degree, downplayed, with claims that scientists are too busy to do thorough reviews, can’t be expected to know everything in their discipline or that they certainly shouldn’t have to monitor their colleagues. Well, peer review is, in fact, about monitoring colleagues in a way that ensures the rigor and quality of information provided through research and science. I know that I have had months in which I have been asked to do a number of scientific reviews of articles. I also know that I don’t sign up unless I know I can devote the time to doing a thorough review and not just “sign on the line” after reading it superficially or approving it for publication because it’s a smart friend or close colleague. There’s no clear evidence that those sorts of things happened in this case, but it is clear that, alongside other systemic problems, the process of scientific peer review failed miserably here. Ethical research and ensuring ethical conduct in research shouldn’t be the sole responsibility of an ethics review board. Nor should concern with ethical research begin and end with the submission to an ethics review board. It should be an ongoing part of the entire research process, and a clear part of the research culture, embedded in professions, disciplines and institutions that fund, sponsor and publish research.